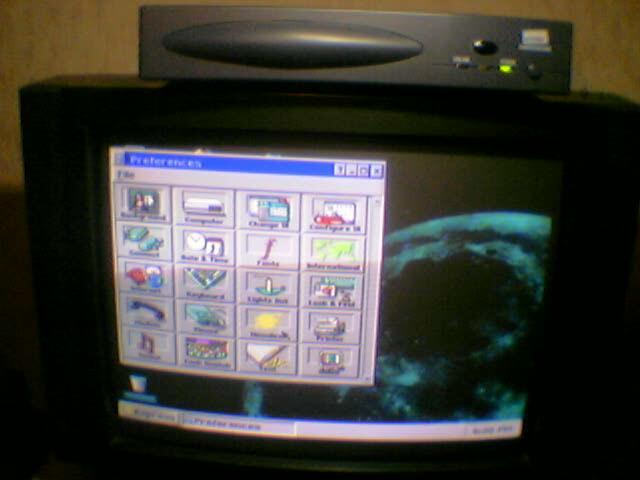 after getting a so called disk-on-chip-2000-adapter i was able to programm the disk-on-chip-2000 (aka doc2000) that is integrated in the mobilcom surfstation. the doc2000 is a small device that looks simmilar to an eprom. well it isn't :-) it's a more advanced device. it contains an integrated scsi controller chip and 16 megabytes of memory. 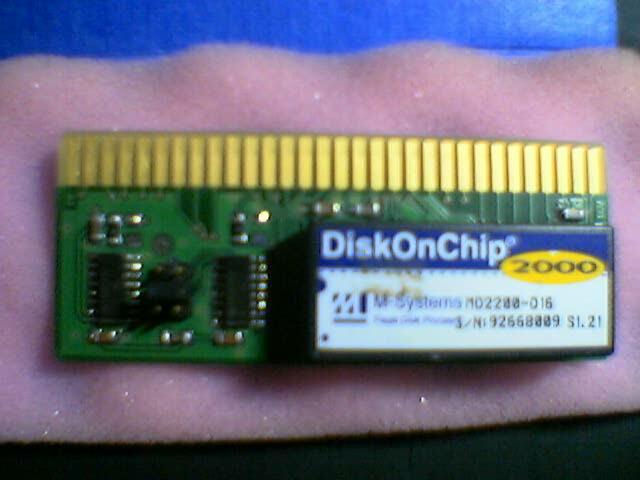 the doc2000 is produced by m-systems and is available in size's ranging from 8Mb - 2Gb. oneday i saw a "surfstation" on ebay. as the article said it containes a x86 architecture and 64megs of ram i bought it. let's see the specs for this babe. 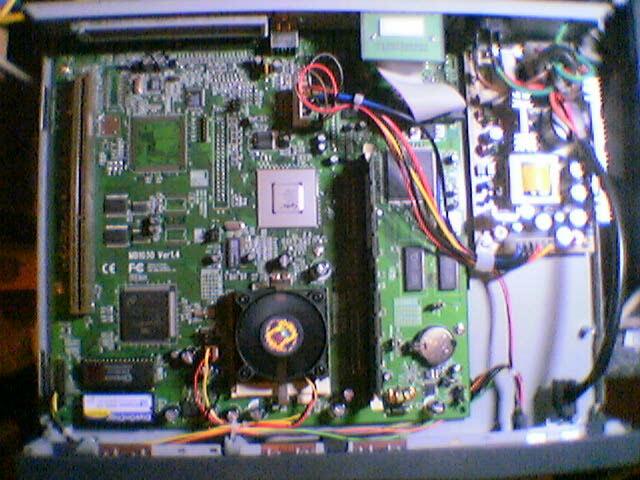 180 Mhz Cyrix CPU, 64 Megabyte ram (sdram), cyrix media-gx-cx5530 chipset, one free isa slot (there is a bus for pci/isa though), 2*usb, lpt port, video out is handled by scart. the only sad thing is that this board has NO network interface, NO floppy connector, NO ide connector. 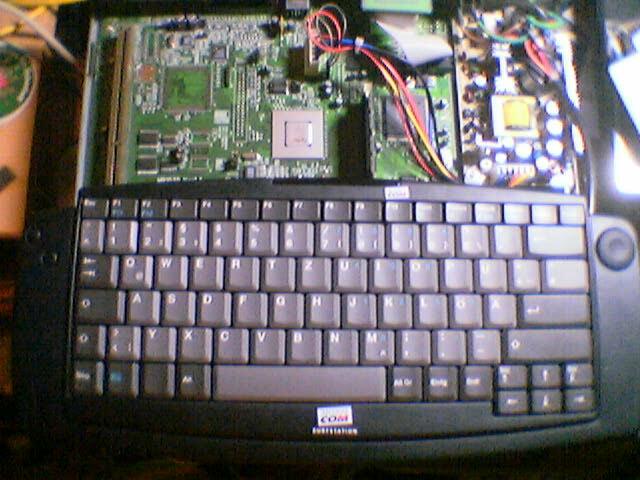 even if the award bios can handle such devices the board was not populated with the missing chips / connectors. the box is also known as stb1030 and is produced by gct alwell. now lets take a closer look. as you can see the doc2000 is in the bottom left. the surfstation got an infrared keyboard with mouse. 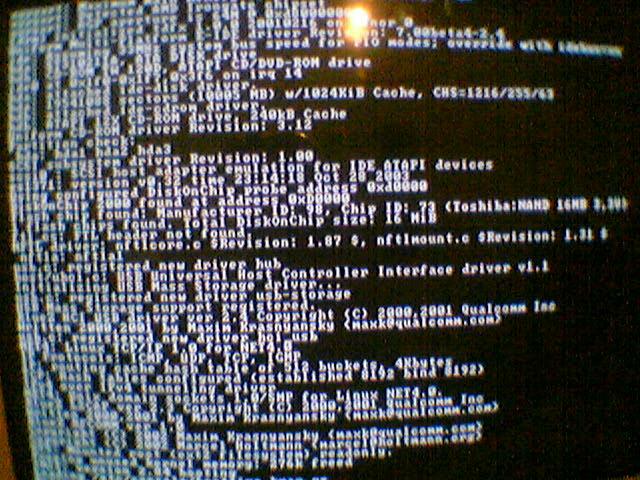 i havent got it running with a new compiled linux kernel yet. i'm still trying to get it recognized by the kernel. so i thought about stuff that would fit into the 16 Mb of the doc2000. 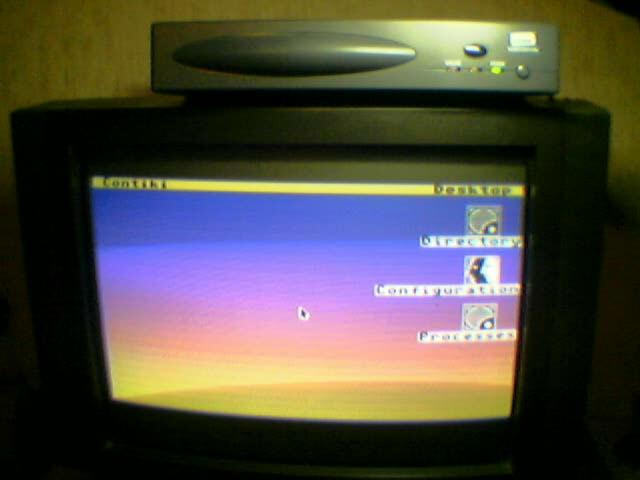 the first install session was dos+newdeal ensemble 3.2 (geoworks known from the c64 as geos!). it's a smooth running gui that even offers a tcp/ip stack. after the standart installation i even got around 5 Mb free. the next installation session was dos (yes again). and some emulator stuff. 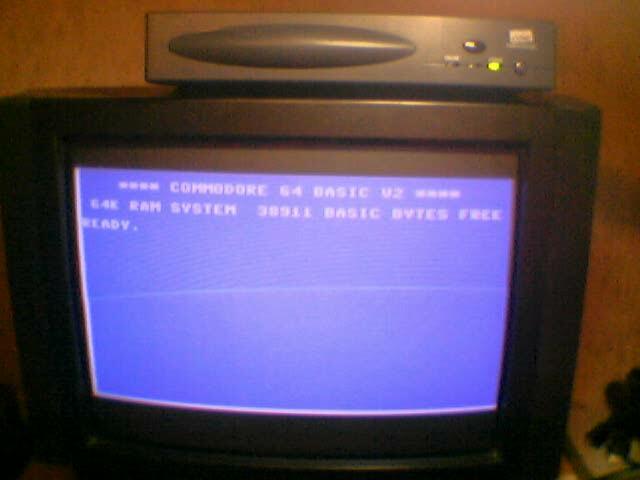 now i have a working dos-vice (c-64 emulator), star commander (c64 disk transfer utility that uses a real 1541 drive) and lot's of demo's / games on the doc2000.